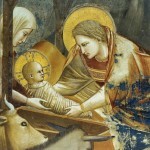 Throughout history, no other birth has been so discussed, honored and memorialized in art than the birth of Jesus Christ. 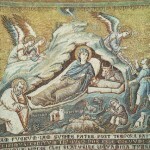 Christians around the world celebrate his birth every year. 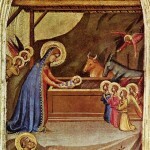 Christmas celebrates God's love in giving us his son to save the world from sin. Famous artists have been painting their interpretation of the Gospels of the Bible and the story of the Nativity for centuries. 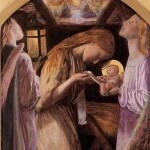 For hundreds of years, artists primarily worked for the Church. 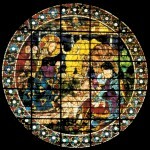 Their sculptures, ornaments and paintings were all designed to depict Biblical themes. 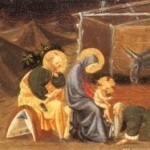 Which means we have numerous paintings by famous artists of the nativity to enjoy. 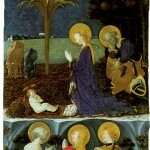 The Holy Family, the Virgin Birth, the Adoration of the Magi are among the most depicted historical events by artists. 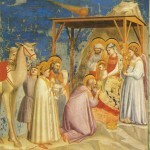 This section of The Famous Artists celebrates their art and the most significant moment in all of history – the birth of Christ.